It was in the United States, India and the United Kingdom that H. P. Blavatsky lived and worked most since her public career began in September 1875. The fourth country to receive the most magnetism from that great source of occult energies was her native Russia-Ukraine. Born in Ekaterinoslav, Ukraine, H.P.B. exchanged letters with her Russian relatives most of the time. Some of them paid her visits in London, and Russian papers published a number of significant articles by her. Russia plays the role of an occult, geographical and cultural bridge between Asia and Europe. As long as H. P. Blavatsky lived, she was the perfect expression of that spiritual bridging. This is one of the reasons why Russia and Ukraine have a long-term importance for the theosophical movement. The answer may have to do with a paradox present in the Russian soul. Since early 19th century, Russia has had two strong cultural trends: the Slavophilism and the Westernizing trend. The pseudo-theosophy of Annie Besant, which has been influential, is “Westernizer” and has no true connection with Russian culture. Slavophils were not xenophobic. They preferred deep thinking and rejected the idea of blindly imitating the West, as Russian Westernizers tended to do. They were closer to the Asian aspects of Russian soul. They were also open to the influence of Western philosophers, which since 18th century was strong in Russia. H.P.B. was a cosmopolitan. She questioned Western society and its materialistic inclinations. In more than one aspect she saw Russia with the eyes of a Slavophil, and Katkov, the editor of the Russian newspaper which published articles by H.P.B., was a Slavophil of note. Being herself a bridge between East and West, H.P.B. lived long years in Western countries while teaching Eastern esoteric wisdom. She expressed in her articles deep admiration for Dostoevsky and Tolstoy - two Slavophils. Khomiakov had a mystical, community-centered and non-authoritarian view of religion. And this is theosophical. While writing on the Christianity of Russia, on the other hand, H.P. Blavatsky referred to the nation as “the only country where the pure ideal of Christ is still preserved”. Besides her voluminous writings in Russian, Blavatsky wrote many articles on her country in English language. She discussed its literature, its traditions and social reality, and personally translated several texts by Leo Tolstoy. The 18th century initiate Count Alessandro Cagliostro helped anticipate HPB’s own mission. She wrote about him and defended his efforts from slander. Cagliostro personally visited masonic and mystic lodges in Russia, Poland and Latvia during the reign of Catherine the Great. At the time Latvia was part of the Russian Empire. A 19th century fact illustrates the strength of the Slavonian connection within the inner side of the theosophical effort. The two Raja-Yogis who were in closer contact with Helena Blavatsky, Henry Olcott, Damodar Mavalankar and other theosophists during the first years of the theosophical movement had a colleague who was higher in wisdom than themselves and whose advice they were glad to follow. Such a “Master of Masters” is mentioned in theosophical literature as “Maha-Sahib” or “Master S.”. Several letters written by him are published in “Letters From the Masters of the Wisdom” (TPH, India, 1973), and HPB once admitted he was “… half a Slavonian in his ‘present incarnation’ as he himself wrote to Colonel Olcott in New York”. 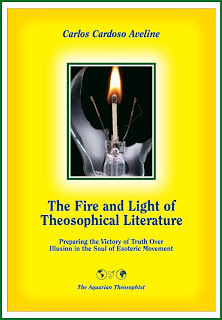 While the seeds of a wiser civilization begin to sprout amid challenges that seem to be overwhelming, the dharma of the esoteric movement in Russia includes expanding its connection with the deeper roots of Eastern Slavic culture and the real sources of inspiration for the theosophical effort, and helping mankind as a whole adopt a more integrated and brotherly view of life. It is from the point of view of the centuries-old Slav culture, that a more effective esoteric movement in Slav countries can help mankind understand the ancient doctrine of the heart that transcends words. The esoteric movement from every country has something to learn from Russian culture and soul, so as to better live and express the law of universal compassion in daily life. The present article does not consider “Agni Yoga”, the movement founded by Nicholas and Helena Roerich in 1920. “History of Russian Philosophy”, by N. O. Lossky, London, George Allen and Unwin Ltd., first published in 1952, 416 pp., see p. 47. A Master of the Wisdom wrote to a theosophist: “At favourable times we let loose elevating influences which strike various persons in various ways. It is the collective aspect of many such thoughts that can give the correct note of action. We show no favors. The best corrective of error is an honest and open-minded examination of all facts subjective and objective.” (“Letters From the Masters of the Wisdom”, compiled by C. Jinarajadasa, First Series, TPH, India, 1973, Letter 46, pp. 99-100.) See also the article “One for All, and All for One”, by Carlos C. Aveline, in our associated websites. Khomiakov is here quoted by Nikolai Berdyaev. The fragments are reproduced from a text by Berdyaev included in the book “On Spiritual Unity: a Slavophile Reader”, compiled, translated and edited by Boris Jakim and Robert Bird, Lindisfarne Books, NY, 1998, 365 pp., see pp. 338-339. In spite of the common ground between HPB’s writings and Khomiakov’s, there seems to be no direct reference to him in her writings. Read in our associated websites the article “Alexei Khomiakov, on Brotherhood”, by Carlos Cardoso Aveline. “Neo-Buddhism”, by H.P. Blavatsky, in “Collected Writings”, H.P.Blavatsky, Volume XII, p. 348. The article “Neo-Buddhism” is published in our associated websites under the title of “Answer to a Russian Philosopher”. “Le Maître Inconnu: Cagliostro” (Etude historique et critique sur la Haute Magie), by Marc Haven, Editions Dervy, Paris, Quatrième Édition, 1995, pp. 49-86, chapitre IV. See also on Masonry in this period the book “Nikolay Novikov, enlightener of Russia”, by W. Gareth Jones, Cambridge University Press, 1984, pp. 272-273; and the books by N. O. Lossky and V.V. Zenkovsky on the History of Russian Philosophy. “The Secret Doctrine”, H. P. Blavatsky, Theosophy Co., volume I, pp. xxxv-xxxvi. “The Secret Doctrine”, H. P. Blavatsky, vol. I, p. xxix. H.P.B. in “Pertinent Queries”; see “Collected Writings”, TPH, volume X, p. 153. More information on the Maha-Sahib or Master S. can be found in the article “The Observatory of Luxor”, by Carlos Cardoso Aveline, which is available in our websites. An initial version of the above article was published in the February 2013 edition of “The Aquarian Theosophist”. Its author was born during the Cold War in 1952. He has had since childhood a degree of familiarity with Russian culture and literature. During the early 1970s, his father lived in Russia for one year, after being a political prisoner in Brazil.